Smiles of San Jose (San Jose) - Book Appointment Online! 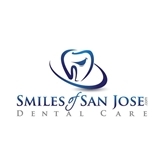 Thank you for visiting Smiles of San Jose, your San Jose Dentist where our goal is providing our patients with healthy teeth so they can have a beautiful smile. If you are a looking for a new San Jose dentist, Smiles of San Jose invites you to take a look around and learn about the services we offer. Our dental team is made up of skilled professionals who are up to date on all of the latest cosmetic dentistry techniques, but perhaps more importantly, you will be treated to a warm smile and a dentist who really cares about you when you visit our East San Jose dentist office. He was very thorough and professional. He made my son feel comfortable. Thank you for making his first visit a happy one.